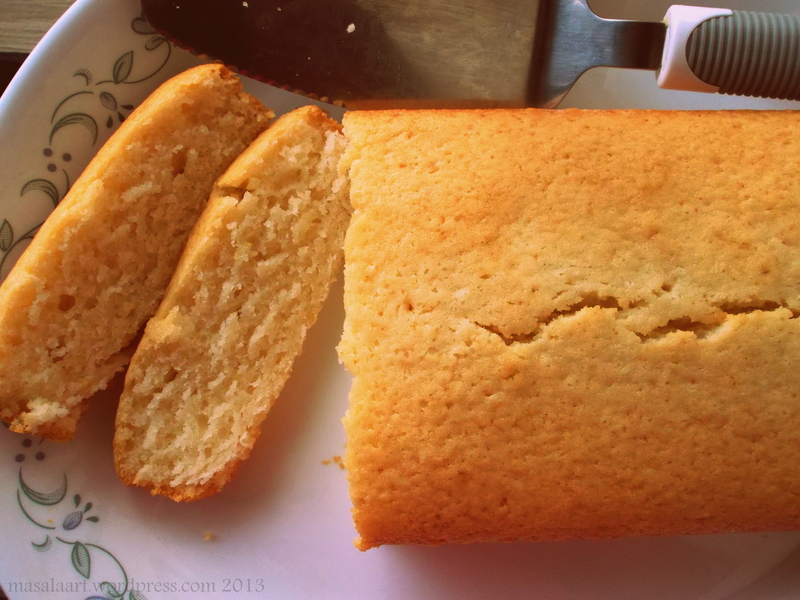 In my last post I mentioned how I had one more lemon cake recipe to try before I could decide which one I liked best. This one is by Donna Hay, from her Fast, Fresh & Simple series. It hits the marks on all of the above- because it is, like she promises, fast, fresh and simple. Her recipe uses a fluted dish, but since I am obsessed with my loaf pans currently, I turned mine into a loaf. She adds no vanilla, so the cake is a little paler than the earlier ones I made- but the lemon flavour shines through. This cake is definitely yummy; more tart and dense thanks to the yogurt. Plus, it is easy to put together since it is pretty much a one-bowl recipe without too much mixing, whisking and folding. Combine the flour and baking powder in a bowl and make sure there are no lumps. Set aside. Put the oil, egg, yoghurt, lemon zest, lemon juice and sugar in a large bowl and whisk well till evenly combined. Sift the flour over this mixture, stir as you sift so there are no lumps. Stir till you get a smooth, glossy batter. 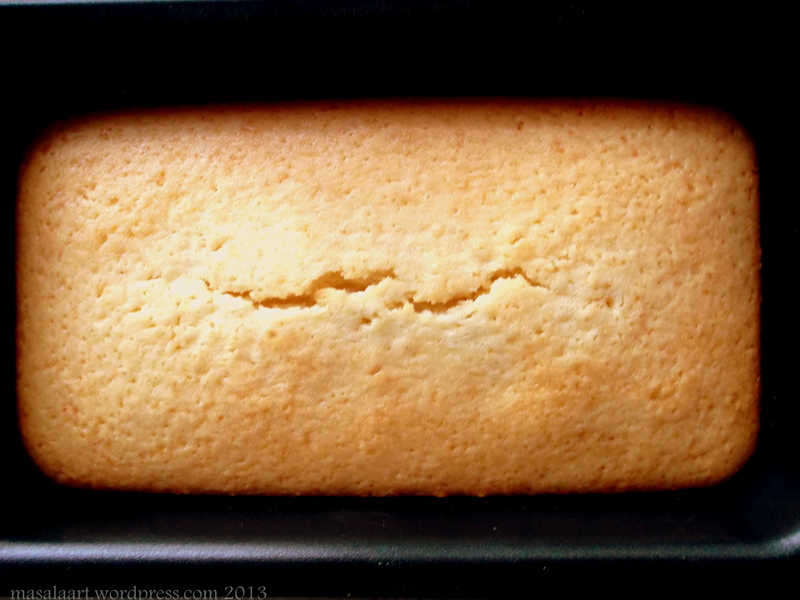 Pour into a loaf pan or baking dish and bake at 180 C for 35-45 minutes or until a toothpick inserted comes out clean. Dense and pale lemony yellow! Thank you for following my blog. I’m enjoying your! Lemon anything is good to me. Nice to know there are others who are as ecstatic about Meyer lemons! I wish I could get them all the time.